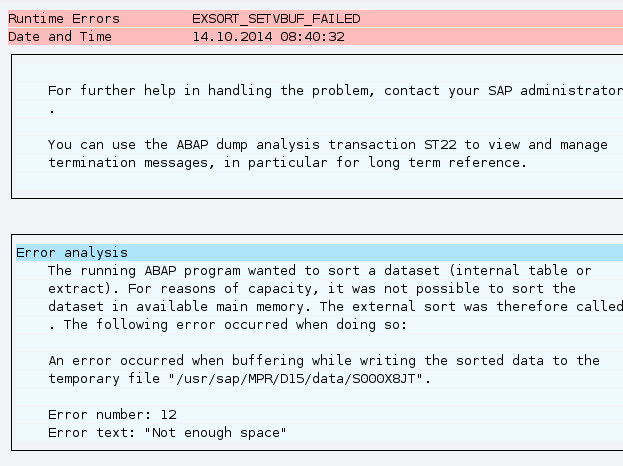 Exsort not enough memory, exsort setvbuf failed, and system no task storage shortdump is happening on my production SAP ERP 6 server after we migrated my ERP to my new hardware. After searching on SAP service marketplace and observing my new server settings, I have found out the problem. To check the setting on SAP, you can user SAPGUI and transaction SA38/rsbdcos0 and running the command ‘ulimit –a’. You need run this transaction on each SAP Application Server you had. You also need to restart your SAP instance to activate ulimit configuration. 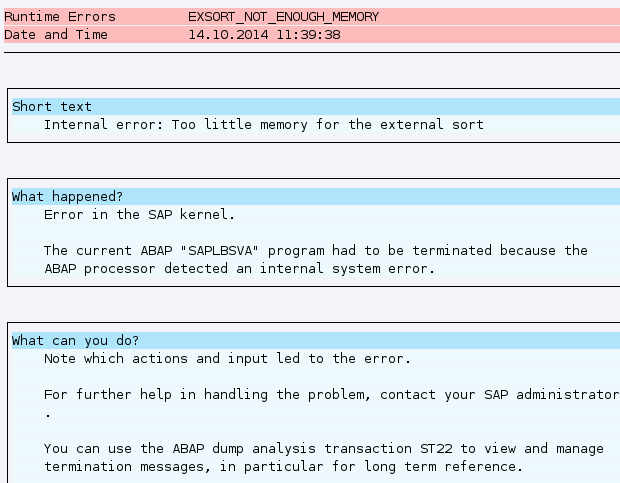 By ardhian in SAP, SAPGUI on October 15, 2014 .